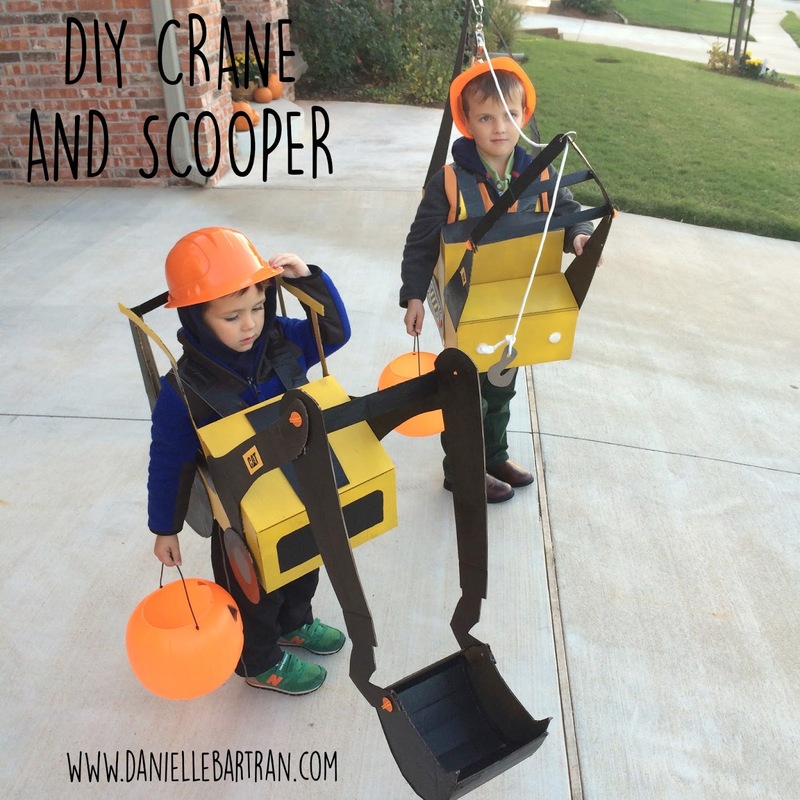 But when my son Cole started saying he wanted to be an "Excavator" for Halloween, I knew I was pretty much going to have to make it. So, in 2013, that's what I did...to my surprise, once his brother saw the costume, HE wanted to be a crane. So I made TWO costumes. The following year, they both insisted on wearing the same costumes, so 37 weeks pregnant, I decided to "hit the easy button" and pulled the Crane and Scooper out of the attic. I did do some minor glue updates, but for the most part they were in great shape.